Introducing the Gold Serries II Xtra. These thin cutting discs are perfect for when you need a little xtra; xtra life, xtra balance. 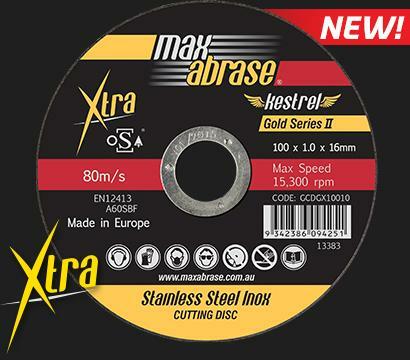 Uniquely formulated to best cut stainless steel and use for general metal cutting, OSA approved and manufactured in Europe, these cutting discs are exceptional.